The RIM Initiative seeks to build a socially focused microfinance sector through which clients are protected from the impact of internal and external risks. 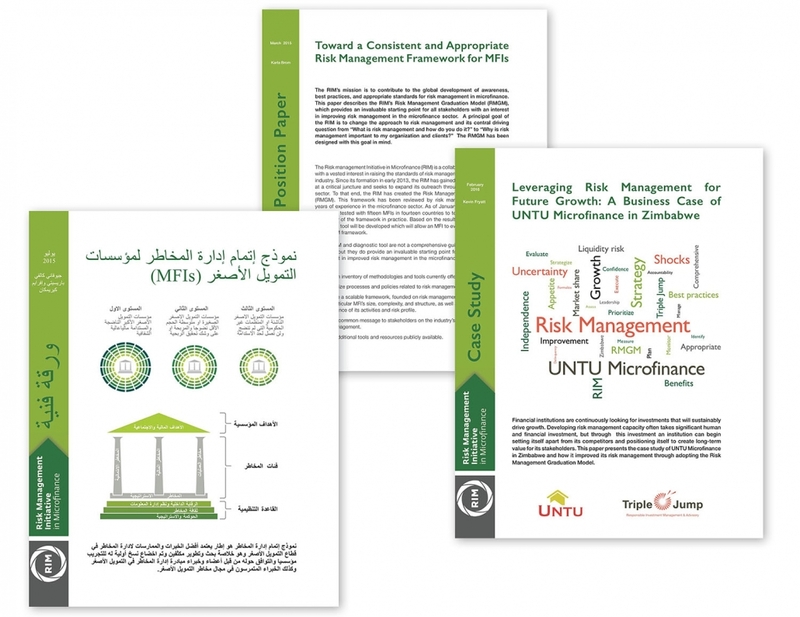 RIM accomplishes this by promoting risk management in the microfinance sector through training, organizational evaluation, and their developed Risk Management Graduation Model – a tiered system of standards based on an organization’s size and portfolio. Visit their site at: www.riminitiative.org. 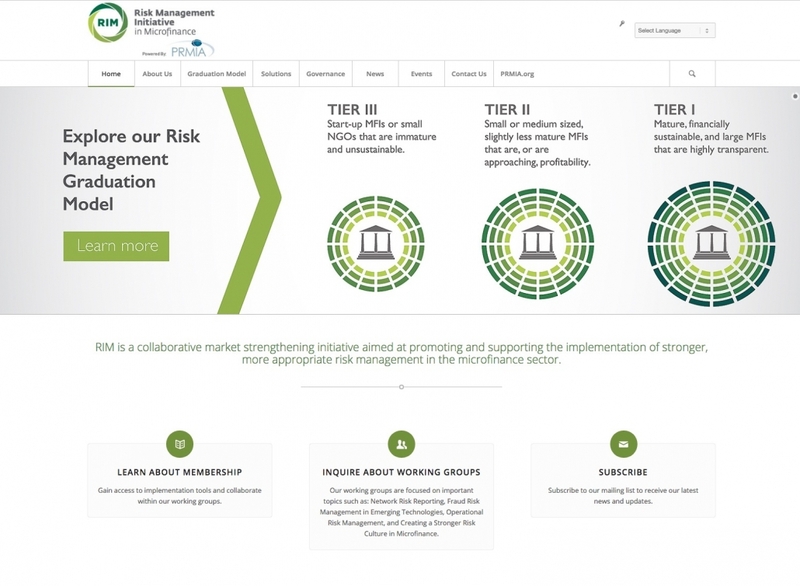 RIM exists in the data-heavy world of financial risk management and their website reflects that. They have a distinct brand style and made the decision early-on to use primarily graphics instead of images in their outward-facing communication. For two and a half years I managed and developed RIM’s website. 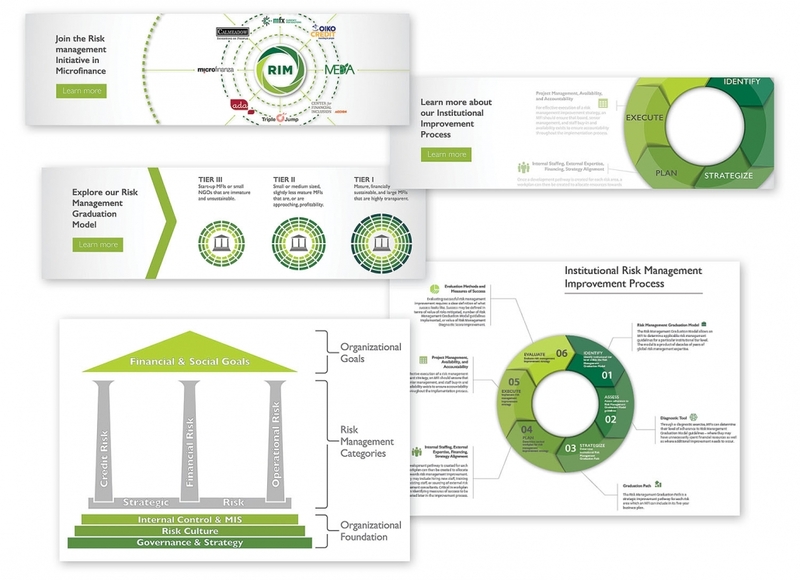 RIM’s biggest initiative is their Risk Management Graduation Model – a tiered risk evaluation of microfinance organizations. 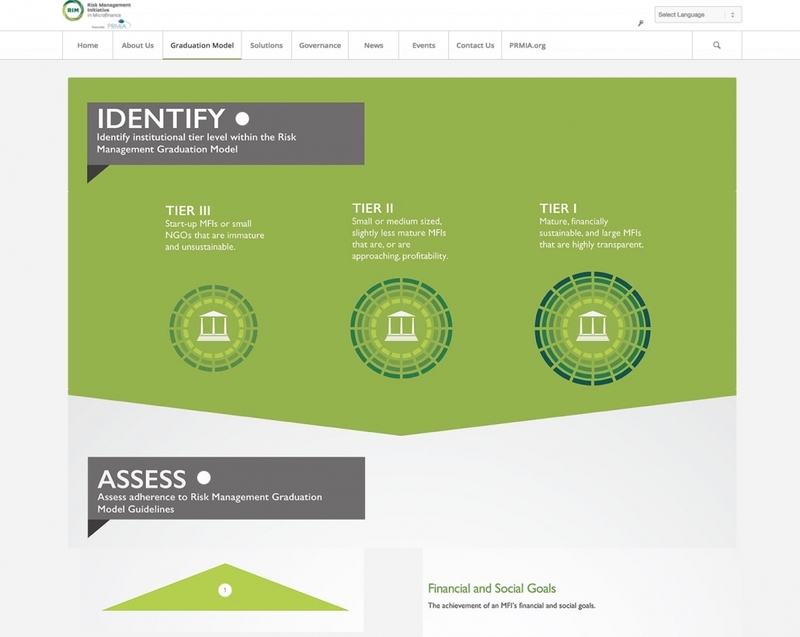 I developed an interactive graphic that acts as an overview and data-heavy pages that present the detailed breakdown of the evaluation criteria. As part of the Graduation Model, I developed a layered website structure that utilized in-page tabs and accordions to organize large collections of content and data in an accessible way. 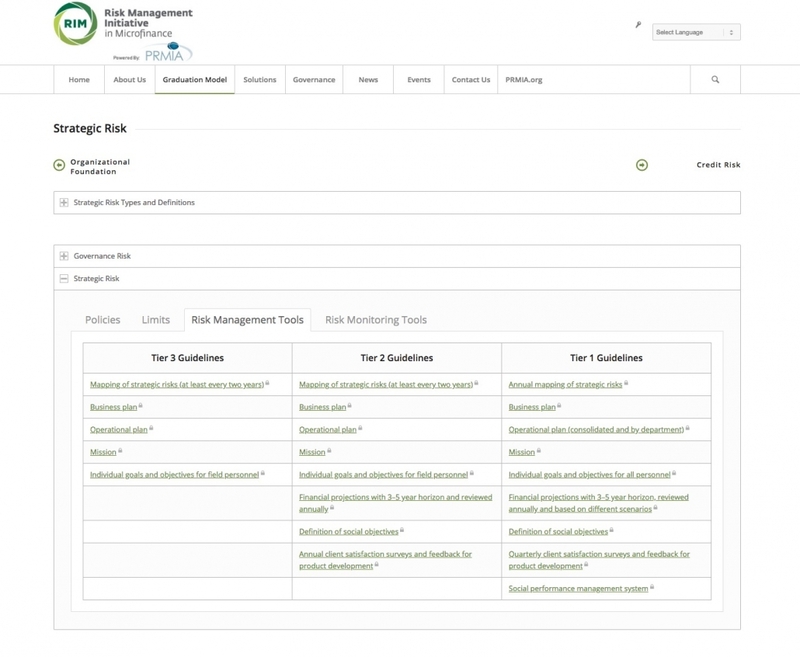 This video provides step by step instructions on how to use the Risk Management Graduation Model (RMGM) Assessment Tool. Jonathan produced three versions of this video with subtitling in English, French, and Arabic. RIM sought to communicate the goals and steps they had in place with perspective members and partners and identified the need that conveyed what they are and where they are going. 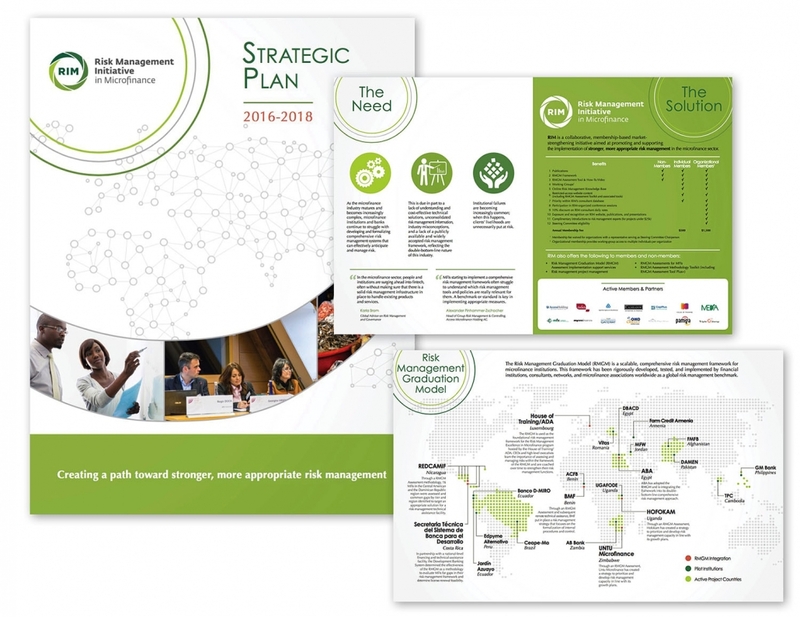 I developed and designed RIM’s Strategic Plan to communicate their goals while staying true to their brand identity and styleguide. As a data-centered organization, website infographics represent data in engaging ways, all within the brand styleguide. RIM regularly published position papers, case studies, and original research in multiple languages. I have laid out several of these papers in English, French, and Arabic. These papers are RIM’s product and available for download through their website.